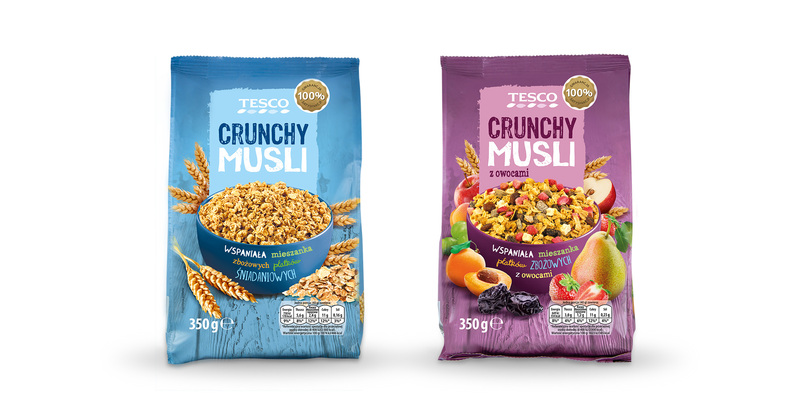 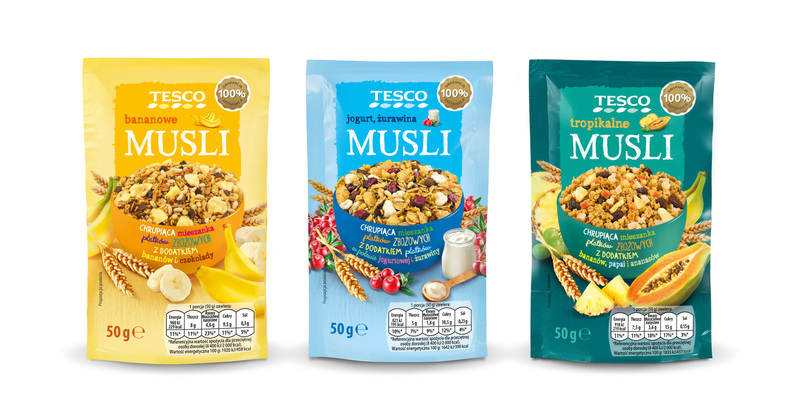 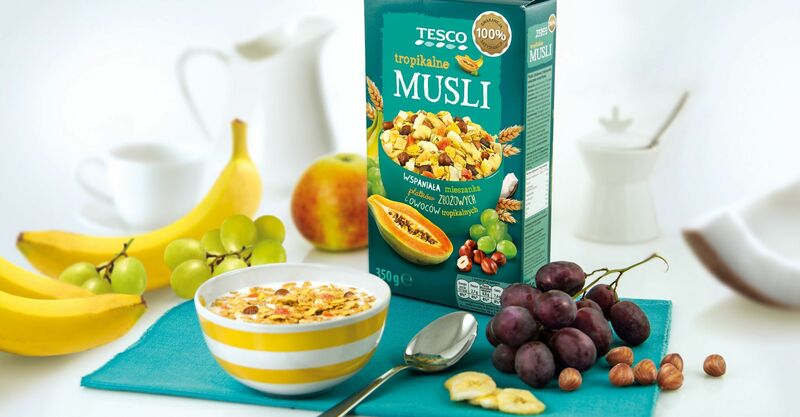 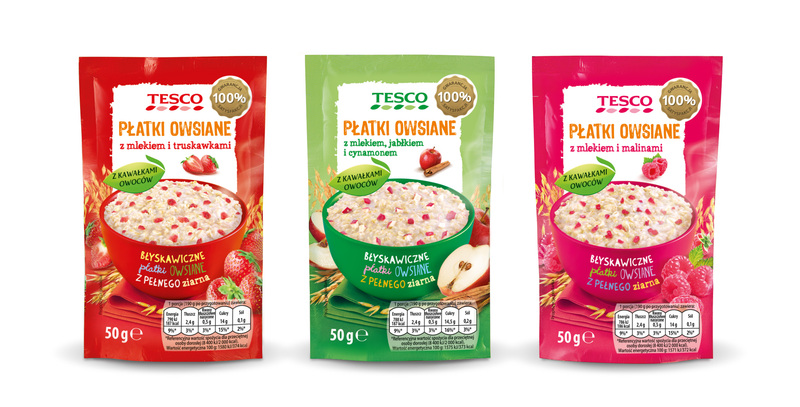 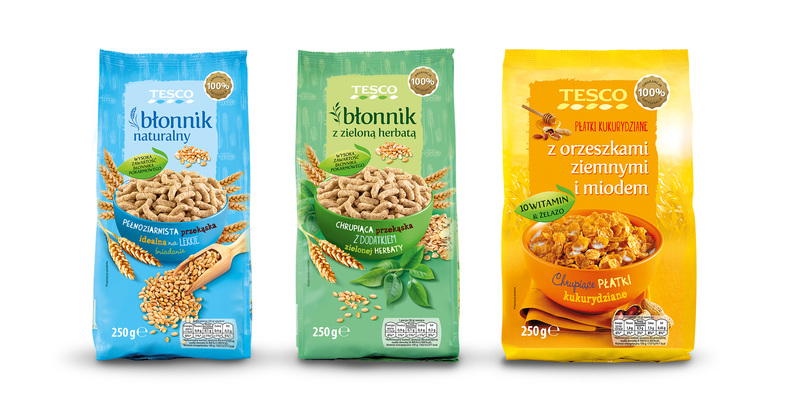 As part of packaging design for Tesco, we have designed packagings of new products for the cereals’ line. 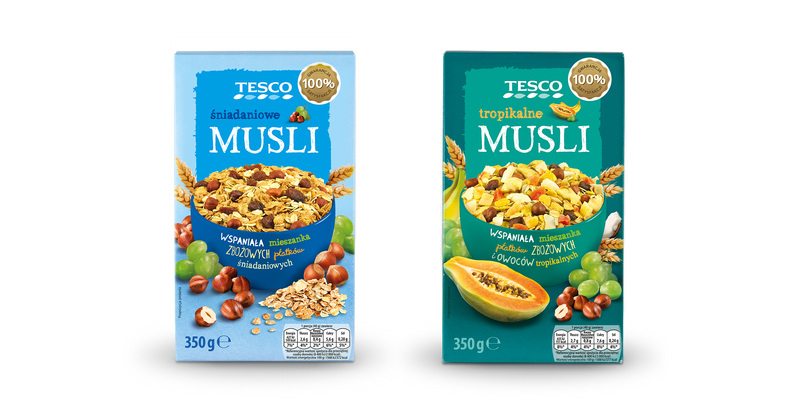 We have opted for intensive colours of background and realistic photographs of the product’s ingredients – they draw attention, emphasise their rich formula and communicate savour. 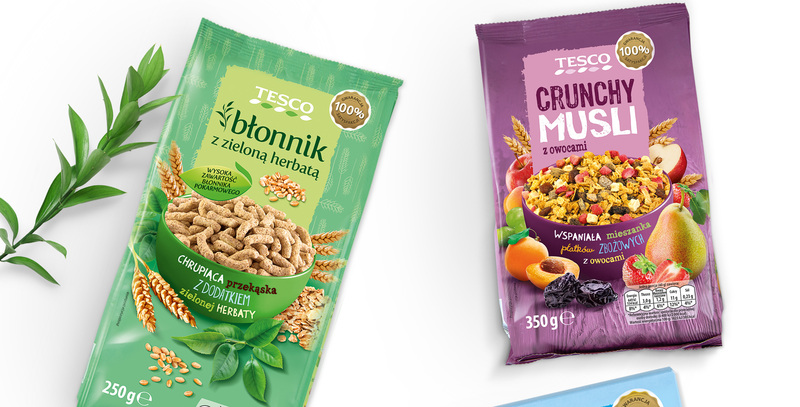 Pronounced colours turned out to be an excellent idea to discern the individual taste alternatives, while at the same time to preserve the character of the entire product line.